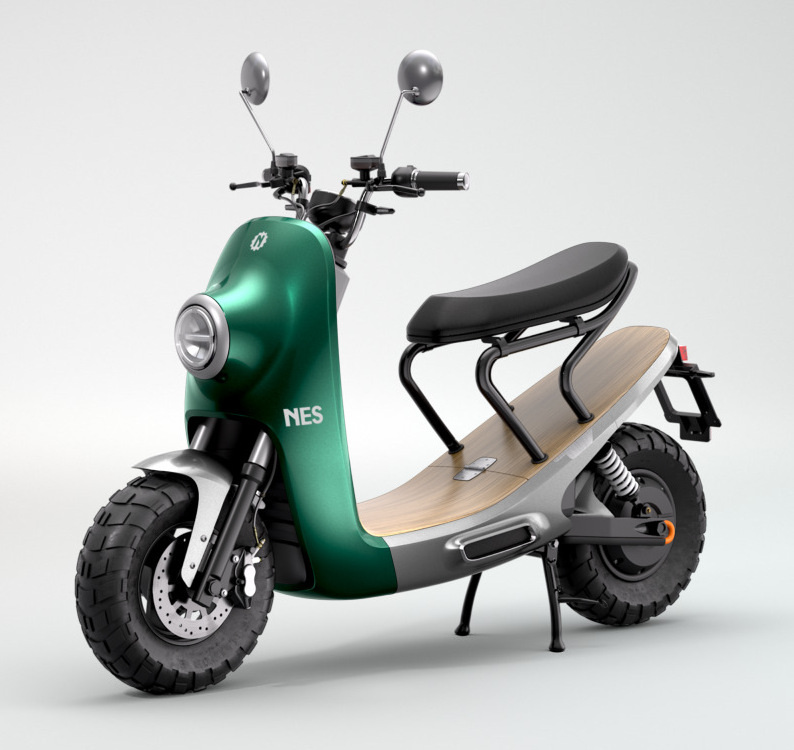 The NES is an electric scooter from an innovative e-scooter startup from Turin, Italy. 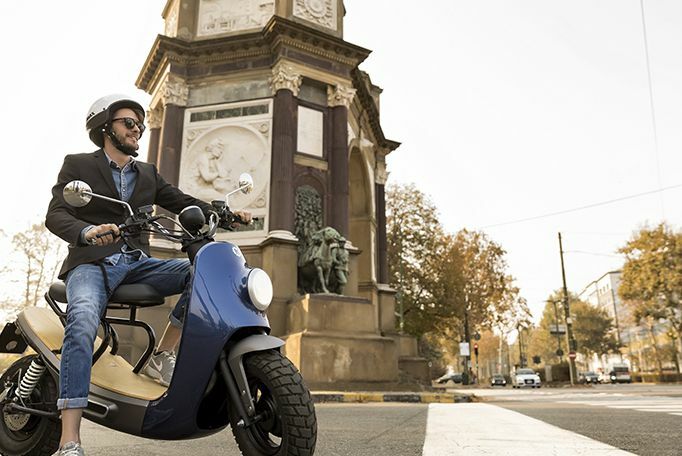 The scooter offers good driving characteristics and a unparalleled design. 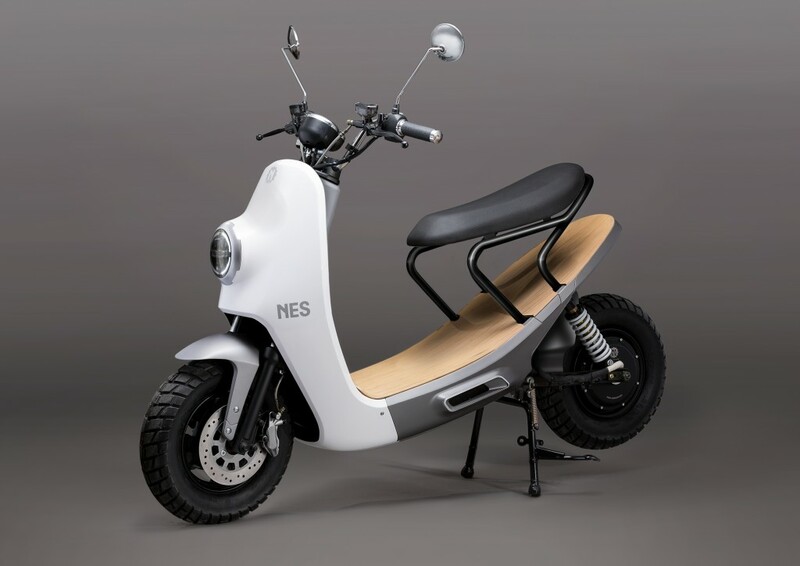 The scooter has a powerful 4,000 watt electric motor for fast acceleration. 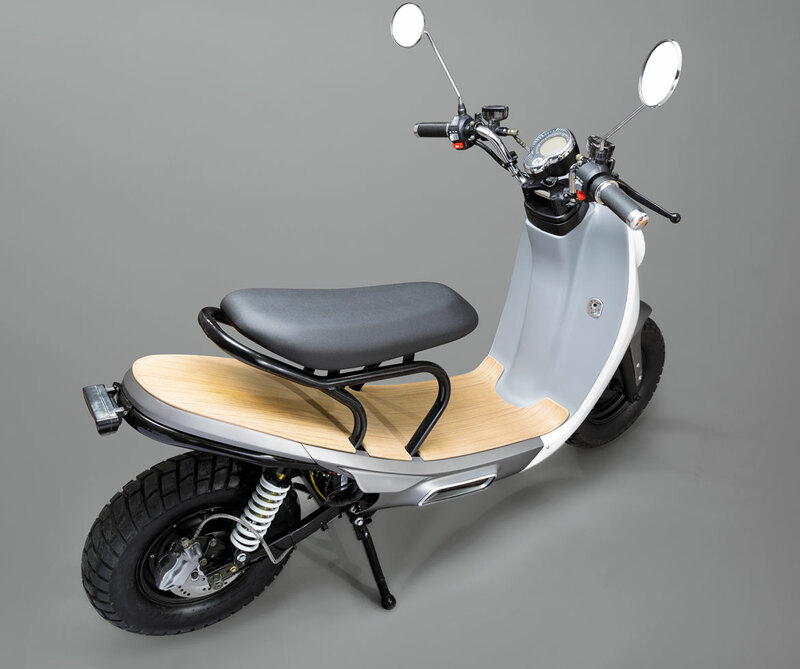 The top speed is restricted at 45 km/h and the scooter can be ordered as a light motorcycle with a top speed of 90 km/h. 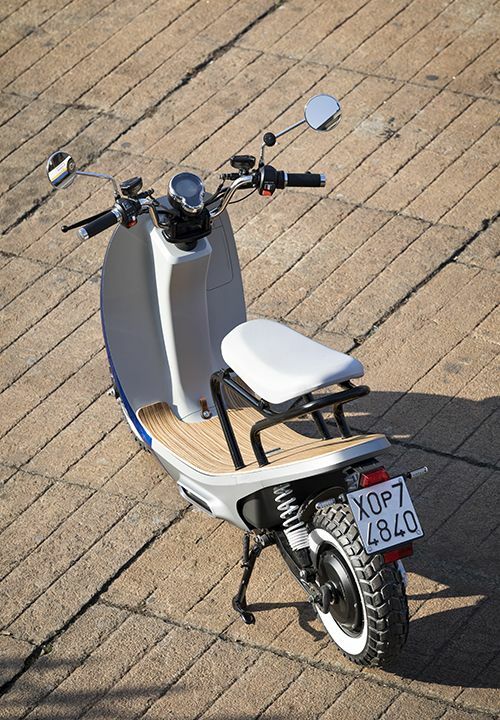 By default, the scooter is provided with all terrain tires that enables the scooter to drive both on and off road. The scooter is strong and durable but also lightweight which makes the scooter very pleasant to drive. 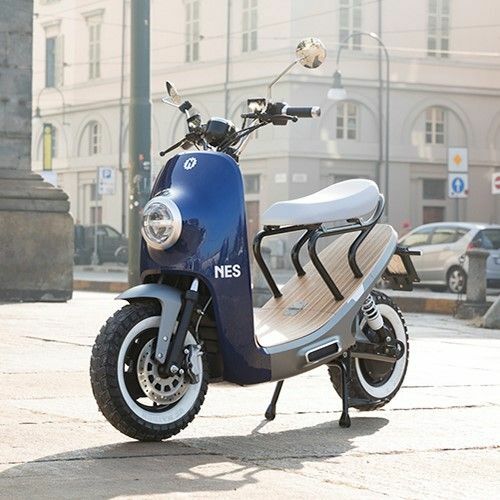 The scooter is 40kg lighter than a modern Vespa. The scooter has a removable Lithium battery with a range of 80 km. The charge time of the battery is 3 hours. The battery is located in a locked compartment beneath the foot deck and can be removed easily. 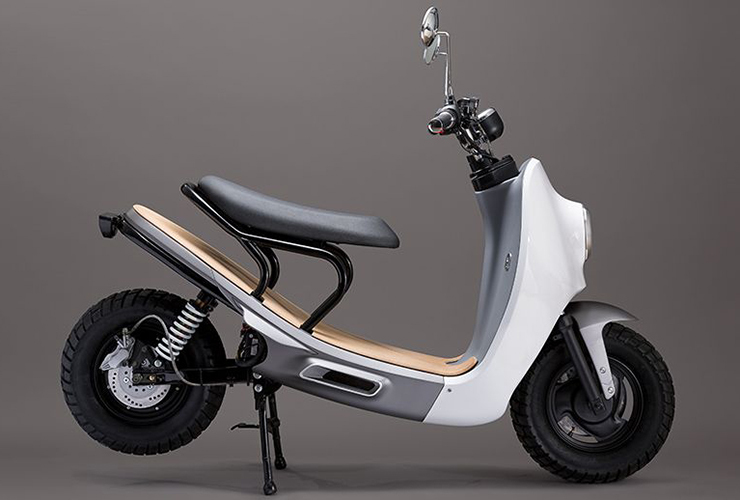 The scooter has front and rear disk brakes. 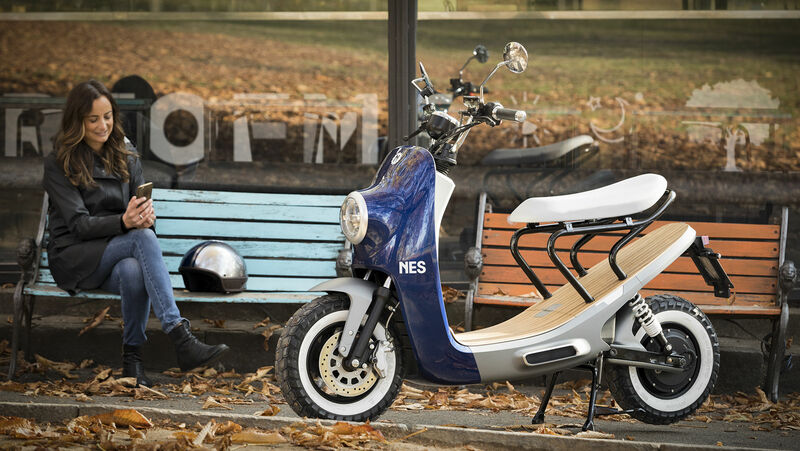 The scooter provides seating for two persons and provides fold-out footrests for a passenger. 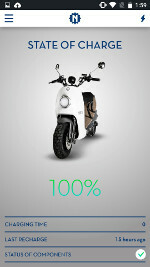 The scooter is a true smart scooter that connects with a smart phone for access to several scooter applications including navigation and a map of charging locations. The NITO NES can be personalized with 72 color combinations. The online configurator provides a broad palet of colors, saddle options, foot-plate wood options and even tire color options. 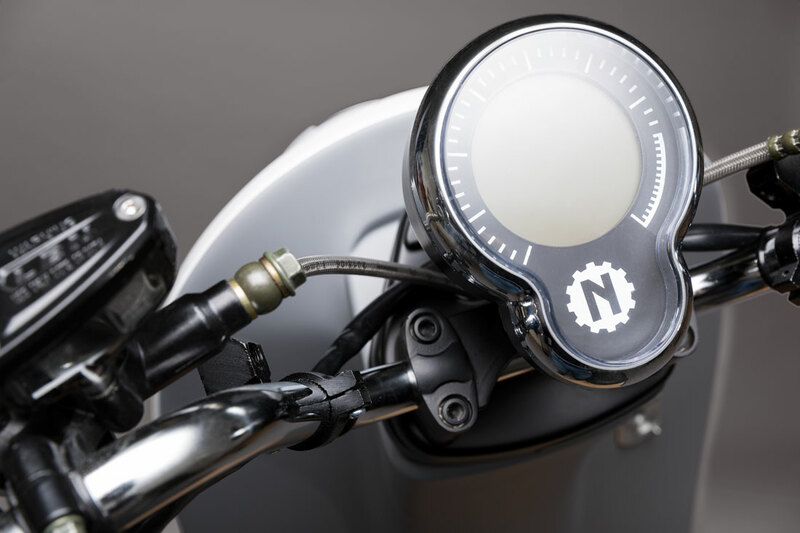 NITO provides several beautiful accessories such as a matching helmet, wind shields in many colors, a navigation system and a helmet compartment.